Columbia University Press, 9780231179867, 392pp. Barthes was one of the great observers of language and culture, and Album shows him in his element, immersed in heady French intellectual culture and the daily struggles to maintain a writing life. Barthes's correspondents include Maurice Blanchot, Michel Butor, Jacques Derrida, Michel Foucault, Julia Kristeva, Claude L vi-Strauss, Georges Perec, Raymond Queneau, Alain Robbe-Grillet, Marthe Robert, and Jean Starobinski, among others. The book also features documents, letters, and postcards reproduced in facsimile; unpublished material; and notes and transcripts from his seminars. 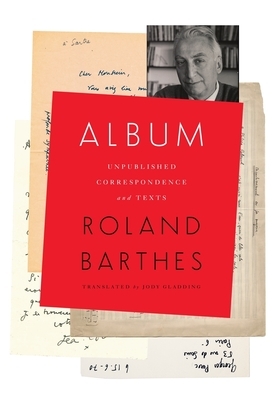 The first English-language publication of Barthes's letters, Album is a comprehensive testimony to one of the most influential critics and philosophers of the twentieth century and the world of letters in which he lived and breathed.